The National Gambling Board (NGB) presented its 2013/14 Annual Report and the report on the first quarter 2014/15 financial and non-financial performance. The briefing was delivered by the administrator appointed to the NGB, and it emerged during the discussion that the Minister had recently suspended the incumbent Board of the NGB and had appointed an interim board in its place. The NGB mandate was drawn from the previous National Gambling Act 33 of 1996, which gave responsibility for oversight over gambling activities to the NGB, and it worked to counter money-laundering, terrorism financing, illegal gambling, and to study the socio-economic impact of gambling. It aimed to harmonise laws, ensure that provincial licensing authorities were compliant, and to work on the debate around the future of gambling. It had received an unqualified audit report, but certain matters of emphasis raised by the Auditor-General were being worked upon. The budget of R29.6 million had been spent and a deficit was caused by over-spending on an over-commitment for rental in previous financial years, that had spilled over across the MTEF. The challenges included delays in the Council sitting on compliance matters, and in giving directives where provincial authorities had not complied. High staff turnover and vacant key positions were problematic. There had been some irregular expenditure. Finally, the NGB faced budget constraints. Possible solutions were proposed to all issues. Policy and legislative reforms were planned to enhance the regulation of the gambling industry, and the NGB would be re-positioned, in collaboration with the Department of Trade and Industry. The First Quarter 2014/15 performance report indicated that the NGB had concentrated upon revising its communication strategy plan and stakeholder management strategy and plan, had completed the advisory report on policy and legislation to be tabled to the National Gambling Policy Council (NGPC) and Minister, and had brought an electronic monitoring system and register into operation. The task team on illegal gambling was resuscitated, as a joint initiative between South African Police Service (SAPS) and the Hawks. 52% of annual targets were achieved in this quarter. During the discussion, opposition Members challenged the reasons why the new administration was briefing the Committee, felt that the real problems had not been disclosed, and questioned why the administration had not informed the Committee of the reasons for the suspension of the Board, since Members were only aware of the media reports and had not heard from the Minister directly. They also questioned why the Minister had held a press briefing on 9 September and yet only informed the Chairperson of the decision to suspend on 21 September. Members challenged the Chairperson's ruling that it was inappropriate for the new administration to speak to this point, saying that if the new administration were not aware of the real reasons for the suspension, they could not tackle the real problems. However, the Chairperson conceded that she would ask the Minister to send a written response to the Committee by Friday, although she did warn that if the forensic investigation had not been completed, there might not be a full answer. Other questions related to the negative variance, the purpose of the operating lease, what was to be done around gambling legislation, remuneration packages, travelling expenses, whether the new NGB was likely to be able to achieve its targets, and the reasons behind the recruitment of temporary staff, and whether the new administration was taking staff members who had caused extra cost to the entity by delaying producing documents to the auditors were to be taken to task. The Chairperson noted that the Committee's unhappiness with the current state of affairs would be conveyed to the Minister, and that he would be asked to respond urgently. The National Regulator for Compulsory Specifications (NRCS) briefed the Committee on its Annual Report for 2013/14, and the first quarter 2014/15 financial and non-financial performance. This was an entity that formerly fell under the South African Bureau for Standards, but became a separate entity in 2008. It regulated the automotive, chemicals, materials and mechanicals, electro-technical, food and associated, legal metrology and building regulations sectors. It focused on source inspections and enabling mechanisms, and these were aimed at eradicating non-compliance in the industries it covered. The budget of R234.8 million had been almost fully spent. There had been qualifications on the audit report, but the matters were being addressed. The report on the first quarter of the 2014/15 financial year described the objectives, and it was noted that the revenue and expenses for this year had risen to R313.7 million. Members were concerned at certain targets around enforcement that were not met by the NRCS, asked the reasons and heard that it was attempting to address this in the current year. They asked why it concentrated on the foods and fisheries sector, and why there were so many delays in processing matters in the automotive industry. The Chairperson asked why it had taken the entity so long to determine that it could cover levies, whether it was fully compliant with its own legislation and what was being done to address problems with the ICT systems, and to acquire skilled staff, and other Members asked if it planned to migrate to digital systems, how many inspectors it had in place, and how staff constraints would be addressed. The Chairperson asked officials who would be briefing the Committee to ensure that they not only provided the figures but to ensure that their reports linked the figures to non-financial performance information. Mr Tumelo Baleni, Administrator, National Gambling Board, noted that his presentation would focus primarily on the mandate of the National Gambling Board (NGB), the strategic overview, actual performance against planned targets, the Auditor General’s (AG) Report, financial status and performance, and challenges. Mr Baleni explained that the NGB mandate was drawn from the previous National Gambling Act 33 of 1996, as amended. That Act spelt out its oversight responsibilities regarding gambling in the Republic of South Africa. He noted that the NGB had succeeded in the prevention of money-laundering, countering terrorism financing controls, eradication of illegal gambling and studying the socio-economic impact of gambling. - taking leadership of the debate concerning evolution of gambling. Mr Baleni reported that the Auditor-General had awarded the NGB an unqualified report, with matters of emphasis, on areas mentioned in pages 53-56 of the Annual Report. The audit matrix had been developed to address the findings raised by the Auditor General. 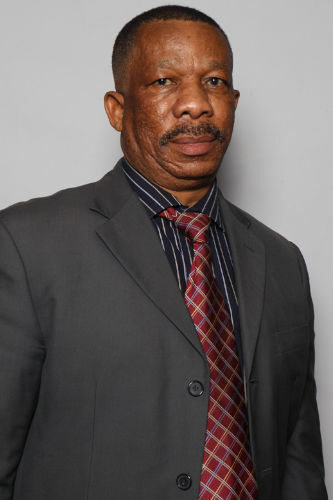 Mr Baleni noted that the budget for 2013/14 financial year was R29.6 million and that the NGB managed to spend it all, and in fact there was a deficit of R4 050 423, which was in respect of administrative expenses, and which resulted from an unfunded over commitment on rental during 2012/13 financial year on rental that had a ripple effect over the Medium Term Expenditure Framework (MTEF) period. d) Budget constraints. He proposed action of strengthening planning processes and aligning to budgeting process, and ensuring sufficient funding of the entity's mandate. He noted that policy and legislative reform were in process, to enhance the regulation of the gambling industry taking cognisance of government’s developmental priorities. Certain measures had been embarked upon in order to strategically reposition the NGB. The outcomes of the Agency Rationalisation Project (ARP) report had been adopted by the Department of Trade and Industry (dti) and had been communicated to NGB for further collaboration. Mr Baleni then presented the first quarter performance report, covering the period 1 April to 30 June 2014, and said that in this period the NGB had reviewed its communication strategy plan and stakeholder management strategy and plan. It completed the advisory report on policy and legislation, for tabling with the National Gambling Policy Council (NGPC) and consideration by the Minister. It provided assistance with the Provincial Licensing Authorities in directing unlicensed gambling activities. The National Central Electronic Monitoring System (NCEMS) was brought into operation and a national register was maintained. It produced a functional illegal gambling-operator register and the task team on illegal gambling was resuscitated, as a joint initiative between South African Police Service (SAPS) and the Hawks. Mr Baleni reported that the NGB was challenged by inadequate technological capacity, lack of punitive measures and high staff turnover. Mr D Macpherson (DA) sought clarity on why the new NGB administration was briefing the Committee instead of the NGB's executive officials. He commented that most of the entities or organisations who were facing problems always tended to tell the Committee how good they were instead of stating issues they were facing, and that was problematic. He wanted to hear about issues of governance and internal control, and measures that the NBG was putting in place to resolve ongoing issues. Mr Macpherson sought clarity on the negative variance of R4 million, and asked what the new administration team had thought about this matter. He also enquired as to the purpose of the operating lease. He wanted to know why the NGB was silent about anything to do with legislating gambling. He remarked that there were plenty of problems faced by the NGB, but because the e newly-appointed administration was not disclosing them, he feared that there was "something fishy going on". Mr G Hill-Lewis(DA) sought clarity on the suspension of the NGB board and stated that the Committee was not briefed on this point. He asked if the newly-appointed administration could advise the Committee on the reasons behind the suspension of the former administration. Mr Hill-Lewis then proceeded to seek further clarity on the operational lease. The Chairperson interjected that Mr Hill-Lewis’ question illustrated that he had not been in the meeting in which the very issue he was raising was addressed. She had received a written communication from the Minister advising her of the suspension. She added that she would brief the rest of the Committee fully on this issue during the forthcoming Tuesday Committee meeting. Mr Hill-Lewis asked whether the letter from the Minister contained specific reasons for the suspension. The Chairperson answered in the affirmative. The Board was suspended by the Minister. For this reason, the newly-appointed administrative board was not in a position to answer issues arising from the actions taken by the executive. Mr Hill-Lewis insisted that, as members of a new board, the current administrators must be in a position to know why the old board was suspended, and therefore to brief the Committee on the reasons for that suspension. He said that it was not appropriate for the Committee to wait for the Minister to explain this, as waiting could take even more than two months. The Chairperson replied that she had made a ruling on the suspension issue and the ruling stayed. Mr Hill-Lewis asked on which rule of Parliament her ruling was based. The Chairperson responded by reiterating that the suspension issue was squarely a matter that fell under the executive. However, she said that what she could do in the meantime was to send the Minister’s letter to all Members of the Committee. Mr Hill-Lewis then sought clarity on the remuneration packages and travelling expenses, and what were the strategies being adopted in that regard. Dr Z Luyenge (ANC) seconded the Chairperson’s view on the suspension and commented that if the Committee wanted to dig deeper, such questions should be directed to the Minister. Dr Luyenge sought clarity on whether the NGB environment was conducive to allow the NGB to rise to the occasion and whether it would be able to achieve its targets. Ms P Mantashe (ANC) expressed her concern with the operating lease. She further sought clarity on the recruitment of temporary staff which, she believed, caused over-expenditure and asked when permanent skills would be resourced. Referring to the extra-cost for auditing, she sought clarity on measures put in place against the staff members who caused a delay in providing supporting documentation to the Auditor-General. Mr N Koornhof (ANC), referring to the reports of successes in anti-money laundering and counter terrorism financing, sought clarity on why the administration thought that success had been achieved, and whether there was room for improvement. He further sought clarity on travelling costs and on how the board was being remunerated, asking whether the remuneration was calculated on the basis of attendance at the meetings. Ms Jodi Scholtz, Group Chief Operating Officer, Department of Trade and Industry, responded firstly, in relation to the previous discussion, that the Minister had taken various decisions and that the Minister had confirmed that he would be briefing the Committee as far as the suspension at the NGB was concerned. She suggested that the NGB new administration, as well as the Committee, should request the Minister to respond to the queries of the Members in writing as soon as possible. Mr Hill-Lewis reiterated that there was no procedural or internal rule on which the Chairperson could base her ruling to overrule his question seeking clarity on the suspension. He suggested that he found the overruling of his question was unfair. Ms Mantashe seconded the Chairperson's view, and remarked that once a ruling had been made nothing could undo it. The Committee should get over Mr Hill-Lewis' question and proceed. The Chairperson agreed with Mr Hill-Lewis that there was no set rule she was following. She made her ruling on the basis that the suspension was done by the Minister, and thus the newly-appointed administrators could not answer on the Minister’s behalf as to why the old board was suspended. Mr Baleni replied that he was indeed not in a position to answer the questions put to him regarding the suspension of "the old guard". His answers might jeopardise the forensic investigation that was under way. On his appointment, he received a letter from the Minister instructing him what he should do. Mr Baleni spoke to the questions about internal matters, and stated that he would go back and strengthen the issue of governance. The newly-appointed board was looking at existing internal rules, how they were applied and whether they were in line with enabling legislation. He noted that challenges included insufficient funds, in terms of overall operation, and stated that the newly-appointed board was looking into the matters that the NGB was facing, carefully evaluating every issue. He informed the Committee that he had written to the Minister, highlighting all those issues which were a burden to the newly appointed board. Speaking to the issues of regulating gambling, Mr Baleni stated that the matter was being looked into and the newly-appointed board was engaging with the dti to try to find a temporary solution on how things could be turned around in the meantime. Mr Baleni similarly confirmed that he was not in a position to answer questions about the operating lease, until after the forensic investigation was completed. He said he could not rely on assumptions. Mr Baleni stated that travelling costs were covered by relevant entities. The figure for the board members covered the various meetings that were initiated, but the new administrators would need to find out why the figure was extremely high. Mr Baleni turned to the question of the extra auditors’ remuneration, and he stated that the newly-appointed board was aware that punitive measures ought to be taken against the responsible staff, including those who did not follow the procedure properly, resulting in delays and consequently causing the entity unnecessary costs. Mr Baleni confirmed that the newly-appointed board was looking at the staff structures, and determining the funded and unfunded positions as well as the skills needed. The existing staff were, however, willing to contribute to turnaround of the entity. The appointment of temporary staff had been an easy and speedy intervention to rescue the NGB, and he appreciated their work in dealing with certain matters. The temporary recruitment conformed to proper procurement processes. He noted the lack of skills in the area of technology, and said that the vacancies were advertised to source the skills from the public. Mr Baleni noted that the reference to the NGB's success in anti-money laundering was based upon the fact that the NGB worked hand in hand with the Financial Intelligence Centre. The latter assisted in detecting money laundering and possible terrorism financing. Ms Caroline Kongwa, Co-Administrator, NGB, reiterated that the newly appointed board was looking at how this entity could deliver in terms of its mandate. The mandate was drawn from the existing enabling legislation, despite its noticeable gaps. These legislative gaps included the lack of directions in respect of the establishment of an inspectorate to investigate illegal gambling. Investigators were needed to assist the NGB to see whether service providers were complying with the rules. Research on transformation of gambling was being conducted. She drew the Committee’s attention to the NGB's discussion with the dti, in respect of how the NGB could be empowered to oversee the gambling activities and to provide for new forms of gambling. She reminded the Committee that the latest change in government portfolios led to the NGB becoming an entity of the dti. There were costs associated with such a move, including the fact that the NGB had to lease an office. The Chairperson commented that some issues were still unclear. She sought further clarity on the matters related to the operational lease and employees (which appeared on page 16 of the Annual Report) and other critical issues appearing on pages 31, 37 and 39 of the Annual Report, and proceeded to ask how many staff were employed, how many positions were vacant, and the number of vacancies that were critical vacancies. Ms Kongwa replied, in respect of the leases, that the changes led to the NGB having two leases running consecutively. The NGB had concluded a lease agreement on, but it had not yet moved to its new office because the dti was still in discussion with the National Treasury to resolve some outstanding issues. Ms Kongwa said that the employee structure was set out on page 16 of the Annual Report. The Chairperson noted these responses but directed the Board to give more clarity on the questions asked, and to submit them in writing by the next Thursday. Mr Macpherson remarked that he had twice written to the Chairperson requesting that the Committee call upon the Minister to come and brief the Committee on the issue of suspension. He received a letter from the Chairperson advising him that there was no need to call the Minister. He was thus particularly concerned that the newly-appointed board could not provide the reasons for the suspension of old board. If it did not know the reasons of the suspension, then he questioned how would it know how to right the wrongs? He said that he was aware that the forensic investigation included investigation of the NGB assets, but nothing was being disclosed for the Committee to provide guidance to the newly-appointed board. The only information the Members could at present rely upon was the information that had appeared in the media. According to the media, the suspension had something to do with the assets. The Chairperson objected to these remarks. She said that the letter she received from the Minister did not mention assets, but rather stated the board was suspended pending the forensic investigation. She said that, according to initial plans, the Minister could have briefed the Committee, but the Minister had accompanied the President overseas. She noted that the Committee needed an explanation on the suspension as soon as possible, and that would be communicated to the Minister. She suggested that Friday should perhaps be set as the deadline. The Chairperson congratulated the newly-appointed board on its work and asked it when it was appointed. Mr Baleni replied that the new board started work on 04 September 2014. The Chairperson remarked that, by Friday, the Committee Members might not get the answers they were looking for, if the forensic investigation was not finalised. Mr Hill-Lewis remarked that it was unacceptable practice to talk about the financial year report without looking at the burning issues. He seconded Mr Macpherson's comment that it was more likely that the newly-appointed committee did know why they were appointed and what they had to do to rescue the entity they were about to govern. He sought clarity from the Chairperson on why the Minister briefed the media on 09 September 2014, but had not informed the Chairperson of the suspension until 21 September 2014. He asked what had caused a delay in this announcement. He then asked Mr Baleni to respond on what exactly the forensic investigation team was asked to investigate. The Chairperson replied that Mr Baleni should answer that question in writing too. Mr Baleni replied that, from the outset, he had indicated that questions related to the suspension should be answered by the executive, who had taken a decision. The appropriate person to make a disclosure on the matter was the Minister. The Chairperson summed up the discussion and concluded that she would write an urgent letter to the Minister to request reasons of suspension, notifying the Minister that the suspension of the board had made it difficult for the newly-appointed board to explain the NGB's financial performance. Generally, the Committee was not happy with the NGB’s state of affairs. Again, she thanked the newly-elected board on what they had been doing in less than six weeks. Mr Asogan Moodley, Chief Executive Officer, National Regulator for Compulsory Specifications, noted that the presentation on the NRCS annual report would give an overview, then describe the strategic outcomes, Annual Report, followed by a description of the 1st quarter 2014 quarterly report and the challenges. The NRCS focused on source inspections and enabling mechanisms. - Finalising new compulsory specifications or technical regulations and amend (or withdraw) compulsory specifications in line with the Industrial Policy Action Plan (IPAP) and other market requirements (as well as reviews). Mr Moodley gave the financial overview, saying that the budget was R235.883 million for the 2013/14 financial year, and the expenditure was R234. 607 million. The surplus for the year was R1.276 million. In terms of the NRCS audit report, he noted that, for the first time, both revenue and employee costs matters had been qualified, but that corrective measures were reported to be in progress. - Increase market surveillance activities and enforce compliance through regulations, based on sound market intelligence in the foods and associated industries. Giving a financial overview of the activities in this quarter, Mr Moodley noted that the NRCS revenue was R290.842 million for 2013/14, and was budgeted to be R313.758 million for the 2014/2015 financial year. The expenditure was R248.266 million for 2013/14 and R313.414 for the 2014/15 financial year. Ms Mantashe expressed her concern about the NRCS’s failure to reach its targets in terms of enforcement. She sought clarity on whether it had an enforcement team, and why there appeared to have been such concentration on the food and fisheries industry, and why it had not apparently dealt with the clothing industry. Mr Macpherson sought clarity on the dramatic increase in budget for the 2014/15 financial year compared to previous financial year reports. Referring to the strategic goal to increase market surveillance activities and enforce compliance through regulations based on sound market intelligence in the automotive industry, he remarked that the NRCS was slow in processing approvals for the automotive industry. It was reported that these were likely to be done within 120 days. but he questioned why, for instance, this process should not perhaps take 21 working days? Mr Moodley responded that the first quarter was challenging, but the NRCS was getting there. Indeed, it had its own enforcement agents. In order to improve performance, the NRCS was working in collaboration with various universities in finding out measures that could be taken. He noted that the clothing and textile industry was not included in the NRCS mandate. The Chairperson remarked that the National Regulator for Compulsory Specifications Act 5 of 2008 came into force in 2009. She questioned why it had taken the NRCS administration five years to find out that it covered levies, asked how long the NRCS had spent studying that particular piece of legislation and whether it had ever done an exercise to check its own compliance with each provisions. Mr Moodley replied that initially the NRCS had looked at its mandate from legal and financial perspectives, and thus noted down everything that was relevant to them. The Chairperson sought clarity on issues of ICT, particularly asking how long the NRCS had been grappling with the functionality of the ICT systems, and what measures were taken to resolve the matter. Mr Moodley expanded that the functionality of the ICT system covered two aspects, the physical and procedural systems. Full functionality required highly qualified personnel. On that issue, the NRCS was collaborating with universities to provide skilled people, and its ICT policy was also reviewed by outside people. Prof C Msimang (IFP) remarked that the policies ought to be customer-oriented. He sought clarity on why the NRCS regulations were poor in quality. Mr Hill-Lewis said that during a recent visit to the USA had ascertained that containers of products could be proceeded and cleared in a short time – less than an hour. When he enquired how this was achieved, he was told that the system was migrated to a digital and technological system. For this reason, he wanted to know if the NRCS had any plan to migrate to digital systems. Dr Luyenge sought clarity on the NRCS report indicating that foods and fisheries industries were conforming, and wanted to know if this comment was based on evidence or was just an opinion. The Chairperson referred to the reports on the factory and vessels inspections, as well as the reason for variance, which was said to be caused by the closure of the squid industry, She sought clarity on the compulsory specifications and technical regulations. She said that the last time the NRCS briefed the Committee, it had indicated that it would be training inspectors, so she wanted to know how many inspectors it had put in place by 2014. Judging from media reports, it appeared that the NRCS was challenged by substandard inspection. Mr Moodley said the NRCS was working to improve inspection systems. However, it was difficult to find new recruits with skills and the training programme was not yet rolled out. Ms Scholtz added that the NRCS was focussing on increasing market surveillance activities, and enforce compliance through regulations based on sound market intelligence. These programmes were starting to build momentum. She said that the Minister visited all stakeholders and found that the main problem that was cross-cutting was related to communication. She also stated that the Minister engaged with the Auditor-General in relation to the assessment of market intelligence to provide an opinion, before the plan was tabled to the Parliament. The Chairperson sought clarity what the statements “lack of qualified staff and the inability to recruit required specialist resources" and "capacity constraints” actually meant, and asked why it was a challenge to have specialised staff and skilled staff. Mr Moodley responded that the challenge was two-fold. Firstly, it was difficult to resource qualified investigators from the public. Secondly, even when it was possible to recruit and train people, this took time; training could take two years, and it would take three years to become a senior investigator. Ms Scholtz responded that the dti had established a programme where it asked each entity/agency to have an internship programme. The Chairperson remarked that the NRCS was still a young entity. In order to become fully capacitated, it clearly required to have skilled personnel. She thanked the NRCS team for their time and presentation. RSX��X�N ed at its mandate from legal and financial perspectives, and thus noted down everything that was relevant to them.